TODAY’S GAME:With the series tied 1-1, the Generals look to take the advantage tonight at 6:05 at Pringles Park against Huntsville (MIL). The Generals are 2-5 against the Stars at home this season and 5-7 against the Stars overall. GENERALS RECAP: The Generals evened the series at 1-1 with a 7-4 win over Huntsville on Friday night. 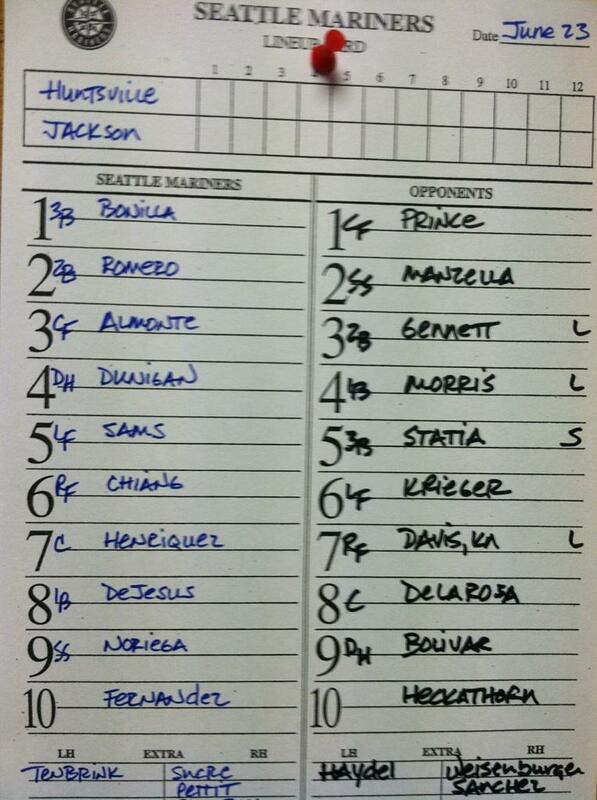 Jackson collected 15 hits, while all 9 starters in the lineup recorded at least 1 hit. 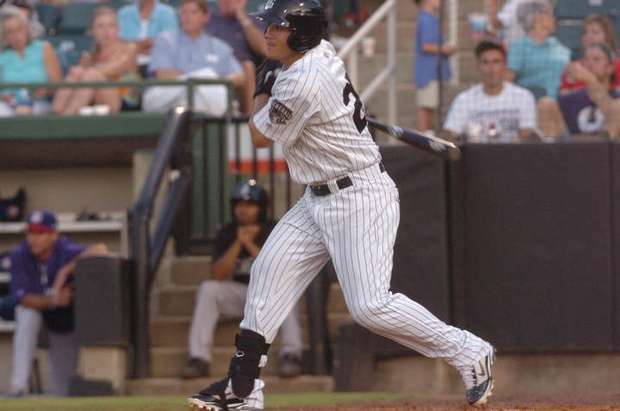 2B Stefen Romero (2×5, R, 2B, RBI) collected his 2nd-straight multi-hit game to start his Double-A career, going 2×5. 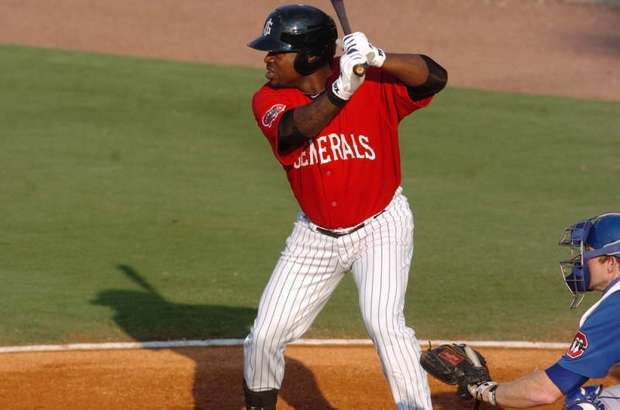 Joe Dunigan recorded his 13th home run, a 2-out 2-run home run in the 6th inning, and gave the Generals a 6-4 lead. LF Chris Pettit (3×4, 2 R, RBI) and SS Gabriel Noriega (3×4, R) each led the team with 3 hits, combining to go 6×8 with 3 runs scored and 1 RBI. Starter Forrest Snow (5.1,5,4,4,2,6) picked up a no decision after allowing 4 runs on 5 hits in 5.1 innings. Relievers Moises Hernandez (1.0,2,0,0,0,0), Mauricio Robles (0.2,0,0,0,0,0), Yoervis Medina (1.0,1,0,0,1,1) and Carter Capps(1.0,1,0,0,0,2) combined to hold the Stars scoreless over the final 3.2 innings. Hernandez allowed 1 hit in 1.0 scoreless inning to earn his 4th win of the season, while Capps picked up his 10th save. Capps has not allowed an earned run in his last 22.0 innings in relief. WHO’S HOT? : OF Chih-Hsien Chiang has hit safely in 5 of 6 games with 4 multi-hit contests, batting .346 (9×26) with 2 runs scored, 5 doubles and 8 RBI. -> INF Eric Campbell has hit safely in 5 of his last 6 games, batting .348 (8×23) with 7 runs scored, 1 home run and 1 RBI. THE WEEK OF TRANSACTIONS: INF Nate Tenbrink completed his rebab assignment with the AZL Mariners and was reinstated from the DL and assigned to Jackson. RH Andrew Kittredge was also promoted Jackson from A Clinton yesterday. LHP Brian Moran was promoted to AAA Tacoma yesterday, while LHP Danny Hultzen and INF Nick Franklin to Tacoma on Wednesday. LHP Anthony Fernandez, RHP Jonathan Arias and INF Stefen Romero were all promoted to Jackson from A High Desert on Thursday. OF Chih-Hsien Chiang cleared waivers and will be active with Jackson. Chiang designated for assignment on June 16 to create room on the 40-man roster for LHP Oliver Perez.